Blurb: Though double dipping on war themes, Dunkelwerk remains a master of atmospheric and weighty electronic dance music. After journeying into the realm of twisted storybook fantasy with 2009’s Höllenbrut, Dunkelwerk returns to the more military inspired sound and subject matter found in its first album, Troops. Just as atmospheric and grim as previous entries, Dunkelwerk’s style remains constant with its mix of German and English lyrics recited similarly to poetry coupled with thickly layered audio textures given extra flavor by a variety of samples taken mostly from war speeches and propaganda that build a mood of shell shocked sorrow brought on by utter defeat. The slow methodical pace and the excellent use of sampling in “Die Unglückshaften” immediately creates a haunted and oppressive feeling as the echoes of speeches ring out like they are crushing a dream. This feeling becomes downright heartbreaking at the beginning of “Schnuffi! ?” with the hollow, mocking remnants of troop rallying anthems giving way to samples of screams suggesting a rage at glory ripped away and promises of a great day of victory disappearing forever. The only moment where the album really falters is in the opening moments of “Kommt!” and its somewhat disjointed sampling of children singing a song about the army. Though it was likely meant to contrast glib innocence with the realities of war, the execution isn’t quite as strong as the concept and it ends up taking some of the punch out of the rest of the track. 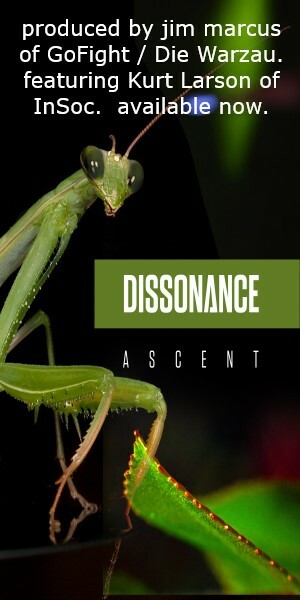 Though Operation: Duesterland does generally rely on some strong rhythms and presents a combination of goth and EBM, it doesn’t always offer much in the way of dance hooks, which could, unfortunately, lead some to overlook the work and not immediately pick up on the deeper themes and richly textured sound of the album. Operation: Duesterland is another impressive album from Dunkelwerk that does a brilliant job once again of conveying its message and inspiration without the need to completely understand the lyrics. 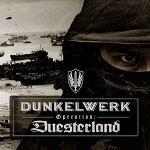 It is somewhat disappointing that Dunkelwerk would already slip back to the somewhat clichéd war inspiration for its third album, but the concept still manages to feel somewhat fresh thanks to the act’s ability to capture the bitter agony of defeat and the sorrow of the conquered.